A little twist, to an old favorite. Heavy duty swivel clasp hooks on and off with ease. 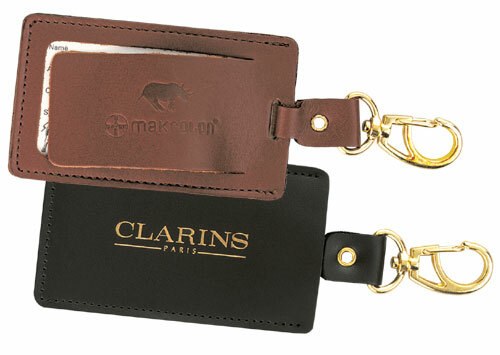 The leather tag is sized to hold a business or ID card.